The Boston Red Sox just wrapped up the Major League Baseball meetings in San Diego, CA as one of the most improved teams in the American League East. The Red Sox upgraded a number of positions with free-agent signings such as Pablo Sandoval and Hanley Ramirez. You can help welcome the newest players to Fenway Park from a private luxury suite. A perfect environment for entertaining clients or bringing out friends and family. Suite Experience Group is rolling out their exclusive early access to 2015 games and we want you to be part of the action. 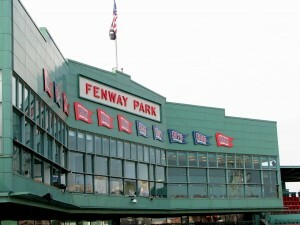 By inquiring about a 2015 Red Sox game, you will get exclusive access to our inventory for next season before anyone else. This is your best way to secure a suite for opening weekend or games versus the New York Yankees. From our suite you will get a beautiful view of the city skyline and the field. The suite will feature a wet bar, private restroom, radiant heat for 18 outdoor seats, moveable glass partition for 4 indoor seats, HD-TV inside and outside and upscale furnishing. You will receive 22 suite tickets and 3 VIP parking passes. If needed, up to 4 additional tickets can be purchased for the suite. Premium in-suite catering options are available. To receive early access for our luxury suite for the 2015 Red Sox season, click here!